In line with the recently launched Tata Tigor XZ+ variant, the new Tiago variant is expected to get chrome packed exterior details and 7.0-inch Harman-sourced touchscreen infotainment system. The new variant may also get a contrasting coloured roof. Tata Motors is on roll in the ongoing festive season. 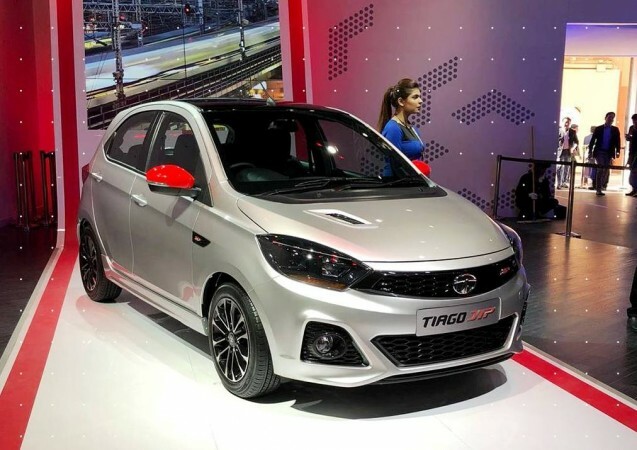 The automaker has already launched Tiago NRG, Nexon Kraz limited edition, Hexa XM+ and updated the Tigor compact sedan range along with the new XZ+ variant. It looks like Tata Motors is not done yet and a feature-packed Tiago variant could be coming soon. 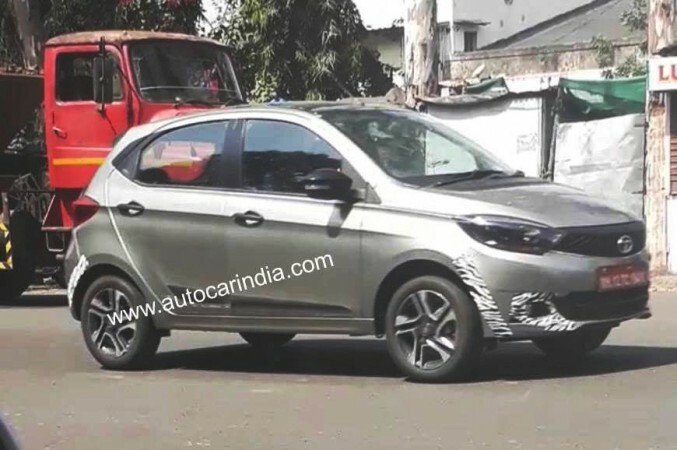 A spy shot of a Tiago unit near Tata Motors' Pune plant has now surfaced online and it looks premium with some additions. The most notable additions are the Titanium Grey paint shade and the 15-inch diamond cut alloy wheels which is also offered with the top-spec Tigor petrol models. The Tiago unit in the spy shots also gets glamourized grille and chrome internal finish to projector headlamps. The roof and the rearview mirror caps are finished in black and there are also black beadings at the bottom of side doors. The additions are in line with the newly launched Tigor XZ+ variant and hence we believe the spotted variant may enter the market soon as Tiago XZ+. Though there are no photos of the cabin, the Tiago XZ+ is expected to get 7.0-inch Harman-sourced touchscreen infotainment system that offers reverse camera assist and Android Auto in line with the Tigor XZ+. No changes under the hood are expected since it will be just a variant addition. Tata Tiago is powered by a 1.2-litre three-cylinder Revotron petrol and 1.0-litre three-cylinder Revotorq diesel mills. The petrol mill churns out 83.8bhp of power and 114Nm of torque, while the diesel mill produces 69bhp of power and 140Nm of torque. Both engines come mated to a five-speed manual gearbox. The petrol variants are also available with the AMT (Automated Manual Transmission) options. Tata Motors currently sells the top-spec Tiago XZ variant at Rs 5.21 lakh for petrol and Rs 6.04 lakh for diesel variants (ex-showroom Delhi). The new variant is expected to attract a premium of Rs 30,000. 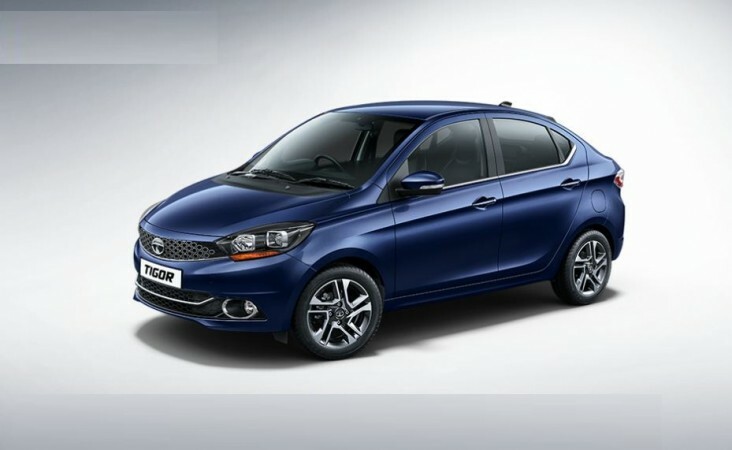 The launch of new top-spec Tiago variant is expected after the launch of Tiago and Tigor JTP versions scheduled on October 26.